This post details only the unique steps Lloyd Thomson took to customize the Walthers Bulk Transfer Conveyor Kit for this year's layout. The remainder of the structure was assembled according to kit instructions. Since the supplied base for the office is open (blue area at left), I cut a section of 0.040” styrene to fill the hole and glued it in place with thin CA to provide a solid floor. Using internet search results, I printed and laminated a 1950s-era green linoleum floor pattern and glued it to the styrene floor with thin CA. 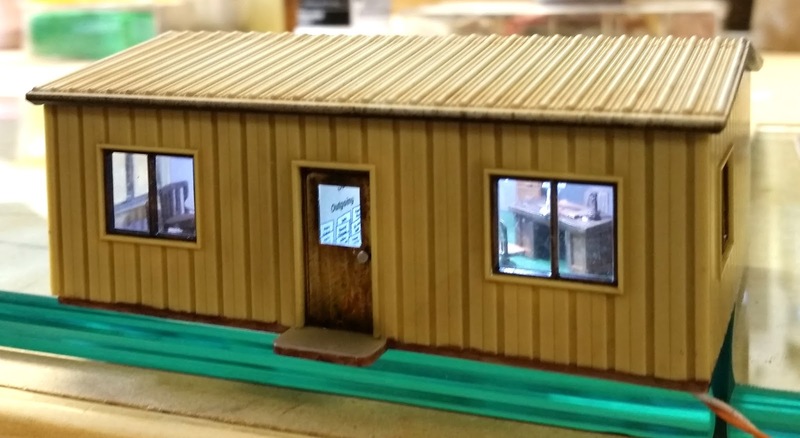 From Builders In Scale, the die cast office detail set (#5505) was brush-painted Testors Sand Beige and Vallejo Rust Texture. Lastly, Bragdon Light Rust weathering powder was applied. Furniture pieces were glued in place with thin CA. 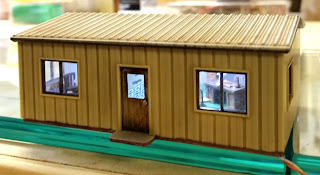 I brush-painted the doors and window frames with Vallejo Rust Texture and installed with kit-supplied windows. 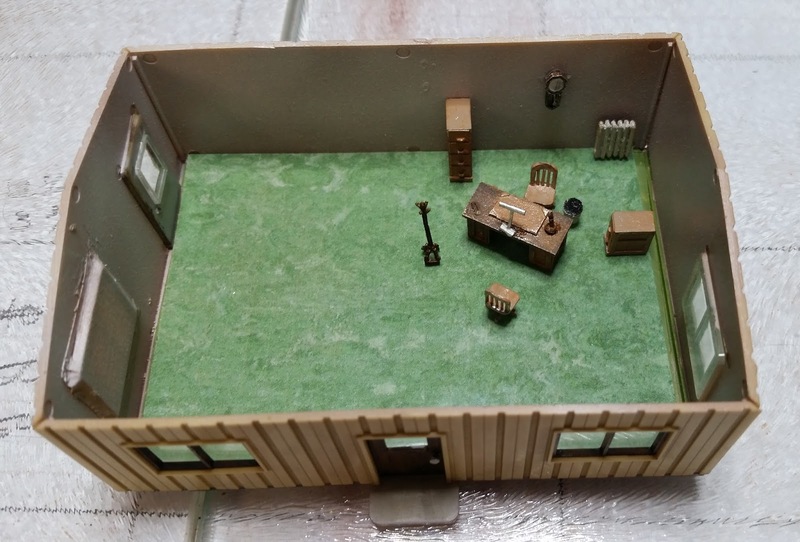 Borrowing a modeling idea from Gerry Leone (Off the Rails, episode 14 - Model Railroader Video Plus), I used doll house nails for door knobs to add realism. 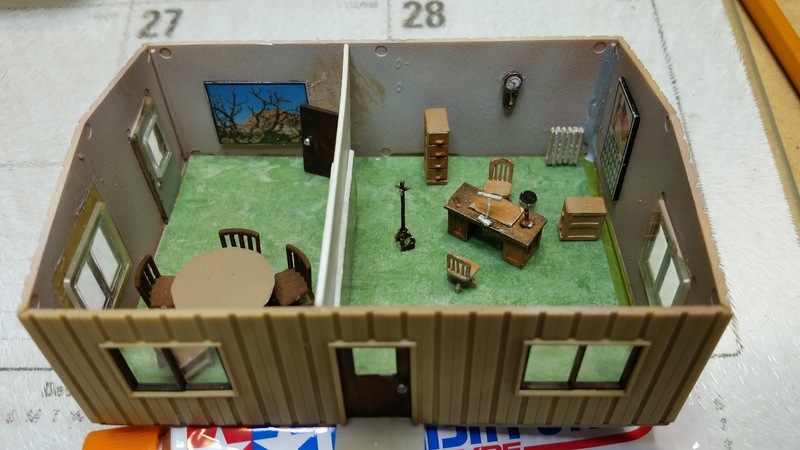 Interior walls include custom decals (Testors Clear Decal Paper) of a scheduling board, wall calendar, and two scenery photos. 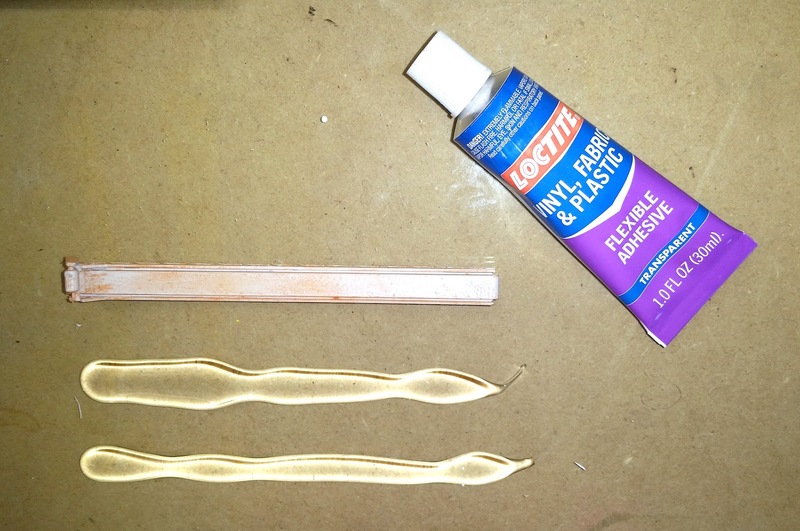 Decals were mounted to 0.030” styrene and glued to the walls with gel CA. 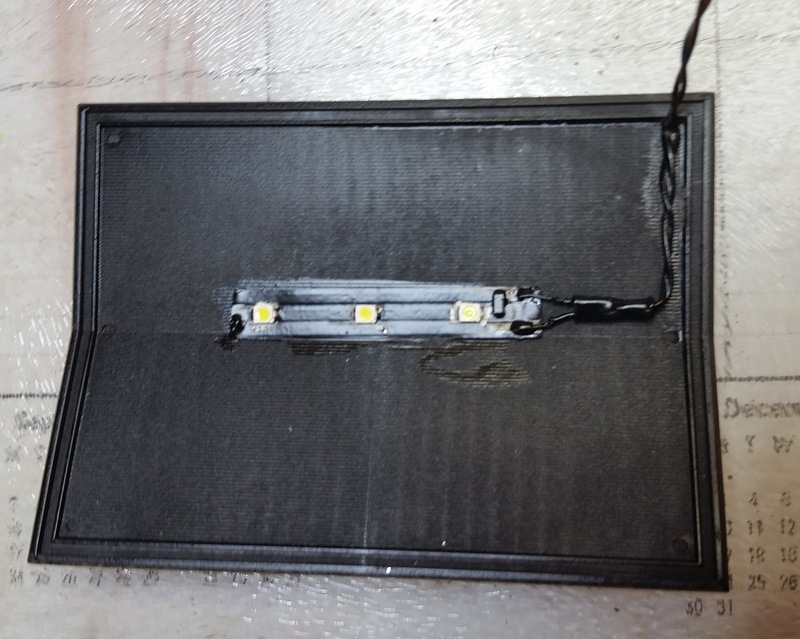 Once the roof is installed, LEDs powered by approximately 9 volts will illuminate the interior. 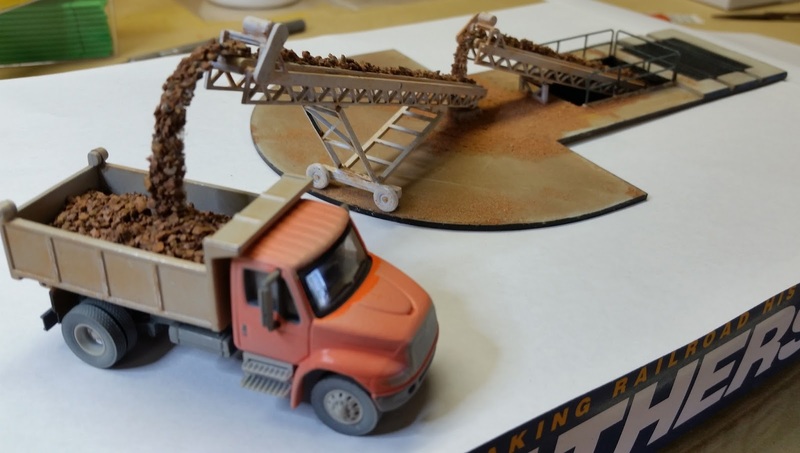 A SceneMaster dump truck (#11633) was airbrushed Vallejo Gray Sand and added to the project. 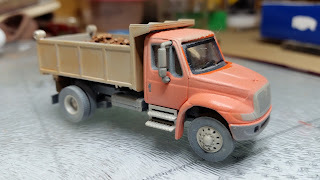 I formed a gravel load in the dump and moistened it with isopropyl alcohol to reduce surface tension. Using Scenic Cement, the load was solidified in the dump. 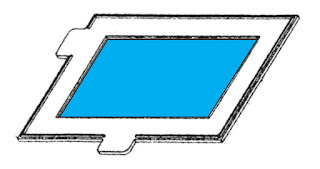 To enable gravel leaving both conveyor belts to arc realistically, transparent LOCTITE flexible adhesive was used to bind the gravel into strips. 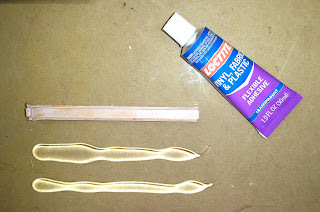 Gravel was poured over lines of adhesive applied to a glass plate and allowed to dry. Once dry, a razor blade was used to lift the flexible strips from the glass. 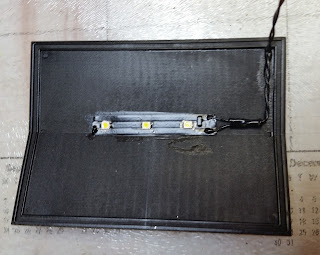 I trimmed the gravel lines to conveyor belt width with tinsnips and glued in place using gel CA. As you can see at left, the flexible gravel strips were arched and positioned onto the second conveyor and into dump box. 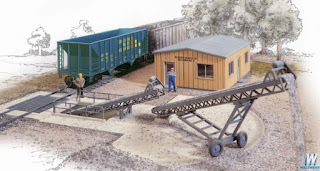 The Bulk Transfer Conveyor and Office kit is now complete but has not yet found its permanent location on the layout. Stay tuned for future posts on the construction of this year's Jubilee of Trees model railroad.